The Environment, and global warming in particular, are important topics these days and as a result there’s an awful lot of talk out there about measuring your “carbon footprint”. Many dog owners have been concerned about their pet’s “Carbon Paw Print” as well, and are looking for ways to raise their pet in an environmentally-conscious fashion. The good thing is, in the past few years, we’ve seen many emerging pet product manufacturers take a more earth-friendly approach by using recycled and organic materials. But while it is common to find eco friendly dog toys and cat scratchers, deciding on the right bed can be a bit trickier. Does it have Synthetic or Natural Fibers? Earth friendly dog beds are being made today with natural fibers (such as cotton and hemp) as well as synthetic fibers (like polyester and nylon) so a lot of it actually depends on consumer preference. Beds made with Natural Fibers, particularly ones that are certified Organic, are the most environmentally conscious during the production process by utilizing nontoxic dyes and hypoallergenic, chemical-free materials. However, beds with Synthetic materials, such as polyester and nylon, tend to last longer. In addition to being more cost effective, this also eliminates the increase in trash and consumption created by throwing out the old bed and buying a replacement. Is the Bed Machine Washable? Nearly all “green” pet beds have a washable exterior and some allow you to wash the interior filling separately. Not only does this make the bed easier to clean but it also prolongs the life of the bed as well. While many non-washable beds have to be thrown out and replaced due to odor and durability issues, machine washable beds usually last the life of the pet. What Type of Material is the Cover Made of? Nylon and Polyester fleeces remain the most common types of synthetic covers because they are durable and easy to maintain. But lately manufacturers have been coming out with materials (such as Dog Gone Smart Bed’s Nanosphere finish) that have been more stain resistant while maintaining strict environment and pet safety standards. The most popular type of natural fiber for eco-friendly pet beds is cotton, due to its breathability and easy maintenance, although hemp covers have recently become more popular due to its durability. What Type of Interior should I be Looking for? Many manufacturers have recently begun using recycled polyester materials for the cushioning of their pet beds. The most common way of doing so involves an innovative process that melts and reforms post consumer plastic materials (think recycled bottles) into polyester fibers, which creates a durable cushion while at the same time helping in cutting down on landfill waste. The only disadvantage is that the process of converting plastic into polyester can be labor intensive. More recently, some companies, most notably Big Shrimpy, have been incorporating recycled pre-consumer polyester materials into their bed filling, a process which uses less energy than other recycling methods. It should be noted that beds made with recycled polyester materials tend to be more firm, so if you think your pet needs a plusher bed it would be best to look at a bed that incorporates an organic natural fill rather than recycled material. Does it have any Certifications? And What Kind of Certifications Should I be Looking for Anyway? Many pet beds have recently begun adhering to Organic standards, particularly ones that use natural materials. In order to be certified organic, a pet bed manufacturer has to use cotton or any other natural material that is grown without the use of pesticides and are not genetically modified. 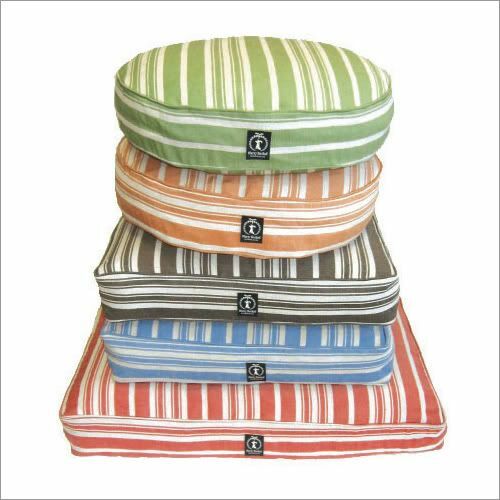 Harry Barker and West Paw are two popular dog bed companies that adhere to Organic guidelines for their products. Beds using synthetic fibers cannot be rated as Organic, but they do have their own standards in place to ensure that they are safe and earth-friendly. One of the most rigorous independent standards is run by Bluesign Technologies. Eco Friendly pet beds will continue to remain popular despite the fact that they are more expensive then other types of beds not only because consumers are becoming more environmentally aware but also because many earth friendly dog beds are of a better quality and are longer lasting, which can help save money as well as the environment. 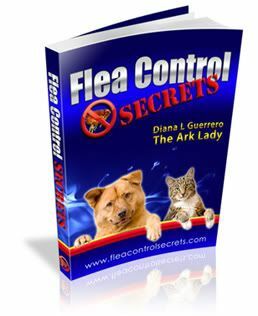 About the Author: Emily Curtis is a pet product specialist for AllPetFurniture, a part of CSN Stores. With a BA in English from Colby College, Emily currently resides in Brookline, Massachusetts with her pet spaniel Porkchop and Henry, a five-year old Siamese cat.